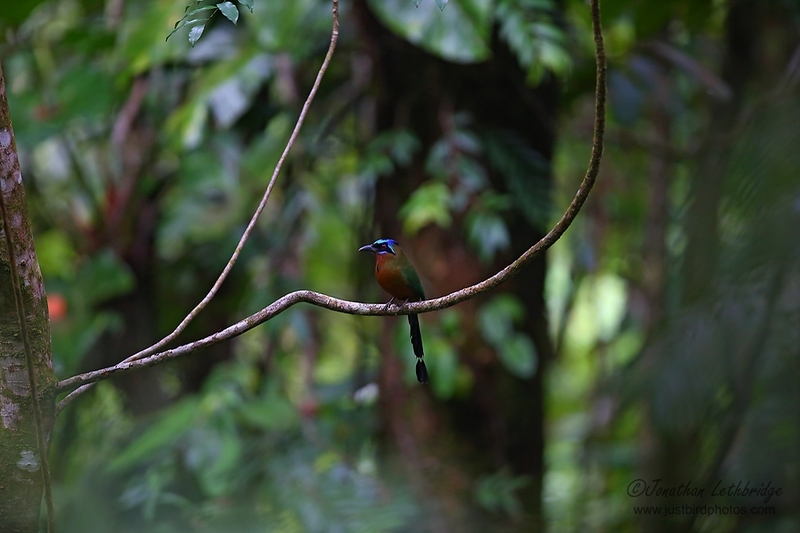 Tobago is a very small island, and the most interesting birds live in the densest rainforest which occurs on the slopes of the main ridge at the north-east end of the island, the Main Ridge Forest Reserve. This protected area has several excellent trails through it, most accessed from the Roxborough to Bloody Bay road. Seeing as we didn't have a car, and largely didn't have a clue, we decided to employ a guide. Note that I said "we" - yup, Mrs L came too, incredible! Pre-trip research indicated that the best guide was a guy called Newton George, so I made sure to send him an email several months before we travelled. He got back with options very quickly, and the costs (US$60 each for a half-day) seemed reasonable-enough for top-quality guiding. 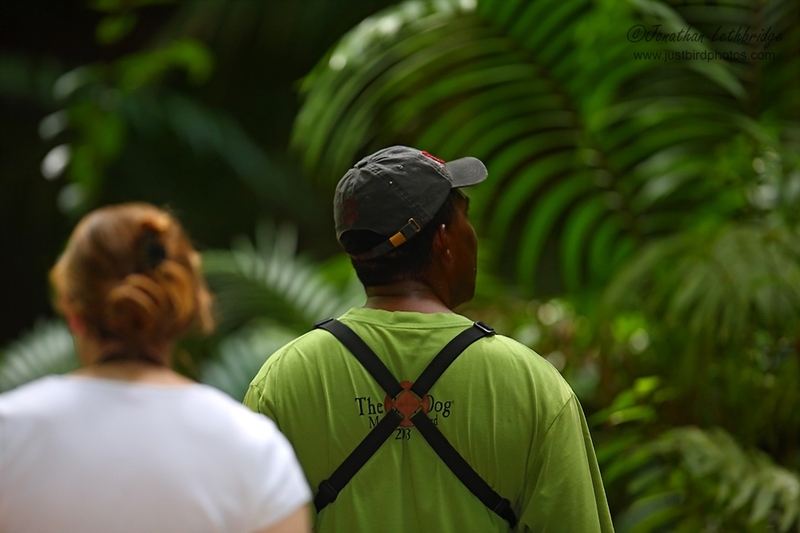 Newton worked for many years as a ranger in the reserve and knows it better than anyone - this proved not to be a boast - he was excellent, and, as I had hoped, picked up all the good stuff on call, which as tourists we simply could not do. We agreed we would sort out precise dates when we arrived, and then I didn't hear from Newton again! Not to worry though, as I left a message for him at the desk of our hotel - much of his business comes from the Blue Waters Inn, and sure enough, one afternoon as I was stood on our balcony in my underpants, he popped round to work out the finer details. So a couple of days later we met him in the carpark at 6am with a packed lunch and lots of optics, and headed off to Roxborough, seeing a few birds on the way, such as our first Green Heron of the holiday. 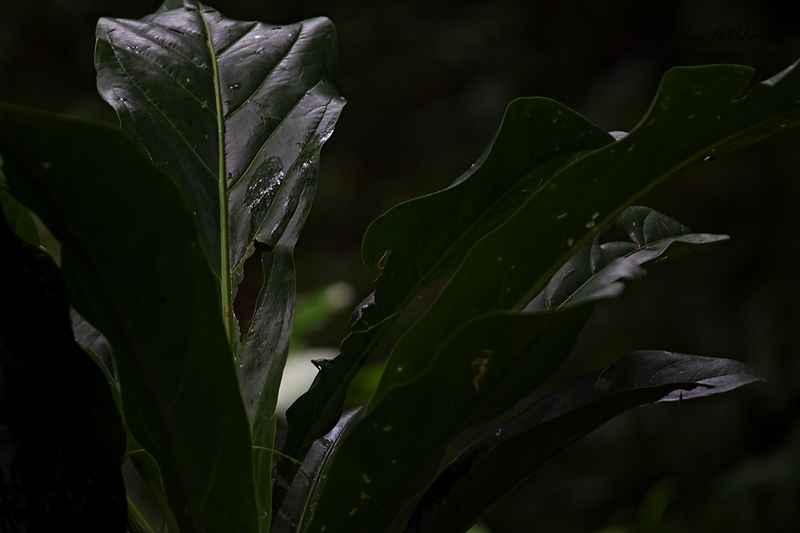 We turned north at Roxborough and the road began to wind slowly upwards, and the abandoned cocoa plantations gave way to thicker forest. We were the only car on the road, and the order of the day was to make frequent stops either because Newton had seen something, or simply because it was a promising area in which he had previously seen something. 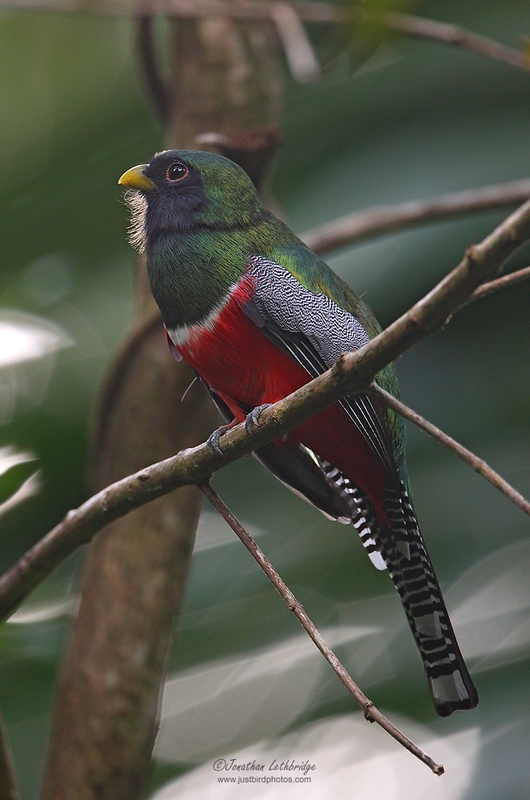 In this way we added a stack of new birds to the list, and got views of Collared Trogon that I had scarcely believed possible, and it was Mrs L who found it!! 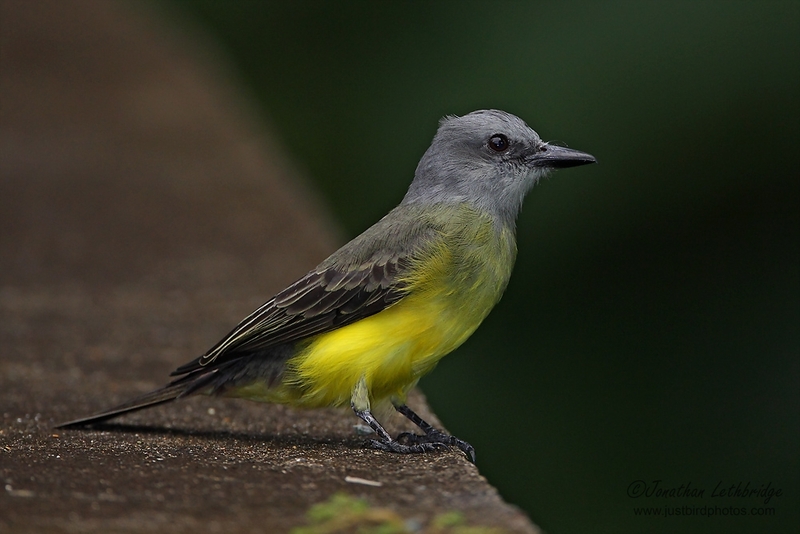 Tropical and Grey Kingbirds were everywhere, pairs of Orange-winged Parrots (O-w Amazon) flew overhead making a variety of noises, and we had several Rufous-tailed Jacamar - a fabulous Bee-eater-like creation. 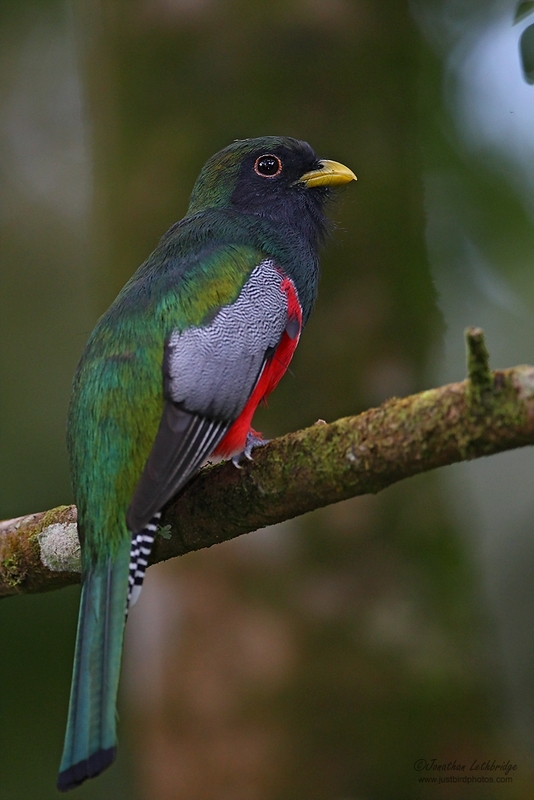 Further stops gained us the sought-after Venezualan Flycatcher, Ochre-bellied and Yellow-bellied Flycatchers, as well as Olivaceous Woodcreeper and Golden-Olive Woodpecker. Working the forest edge is the easiest way to see birds, and so we spent much of the morning gradually we birding our way up to the best trail in the area, Gilpin Trace - a wonderful track that winds down a valley beside a stream deep into the forest. 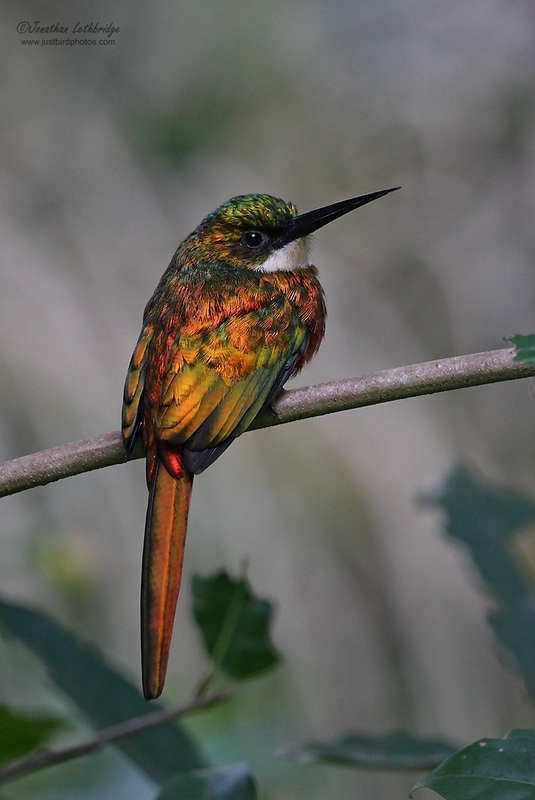 This is where we saw the star bird - the White-tailed Sabrewing, Tobago's largest Hummingbird. Photos from this particular trip are fairly thin on the groud as at this point I had not DISCOVERED FLASH but I'll try and give a quick impression of what it was like. 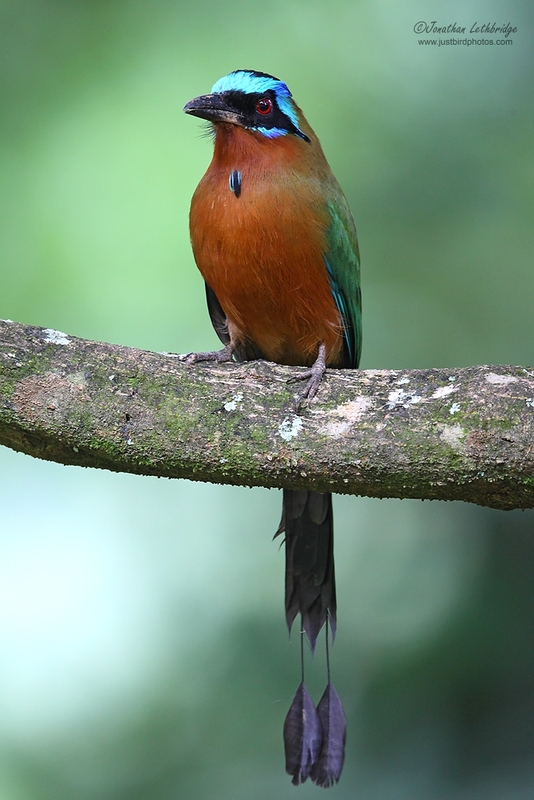 The jacamar! Spectacular bird, spectacular photo!